Summer’s officially here. That means sun, surf, and MMOs, right? For this issue of MMO Co-Opportunities, we have a preview of the new Warlock class for Dungeons & Dragons Online, information on a newly announced playstyle for Guild Wars 2: Heart of Thorns’ Revenant profession, and the reveal of Wildstar going free to play in Fall 2015. Let’s jump right in. Dungeons & Dragons Online (DDO) has a big update coming up this month: Update 26. Its main focus is the addition of a new class, the Warlock. The warlock is an arcane caster that has a pact with a patron. Their signature ability is Eldritch Blast - an energy bolt that they can shoot from their hands which has no mana cost. This acts as their main weapon. 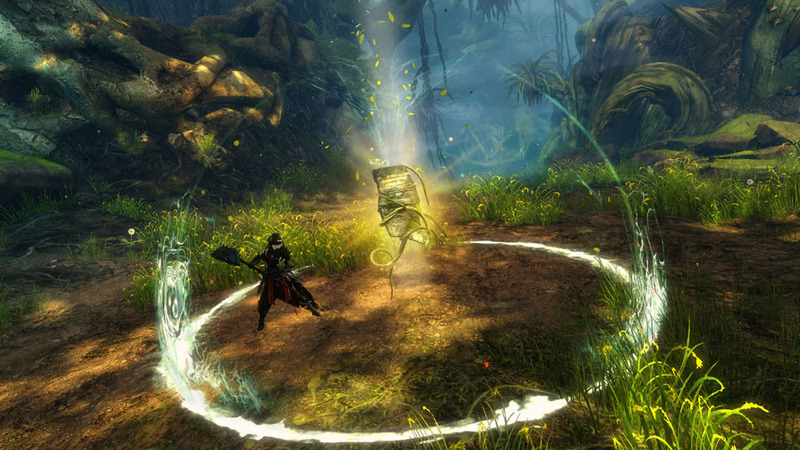 Players will be able to customize their Eldritch Blast through the Warlock enhancement trees and feats. Warlocks also get six levels of spells at max level. Most of these are arcane, but some will be divine. Generally, these spells won’t be damaging spells, but will instead focus on buffing and control effects. Turbine recently did a livestream preview of the Warlock, which they afterwards put up on YouTube. For players who want a good amount of detail on the Warlock (including tips on creating a warlock), check out the video below. 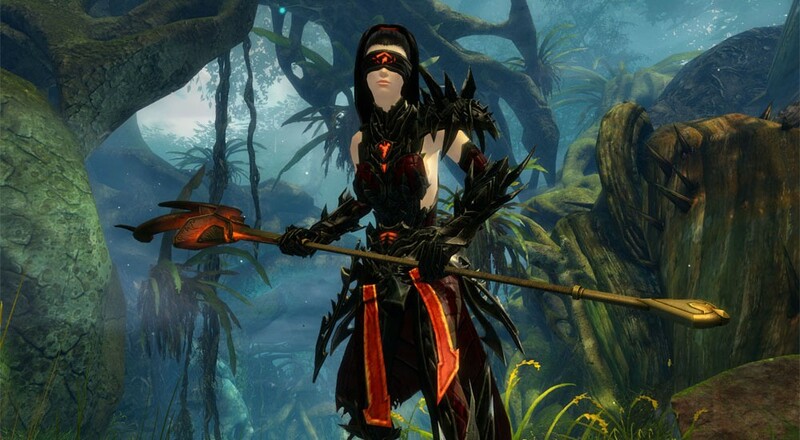 The new Revenant profession is one of the big new features of Guild Wars 2’s upcoming expansion, Heart of Thorns. One of their defining mechanics are their “legends,” which are stances that change many of the revenant’s available abilities. The Mallyx and Jalis Legends had previously been revealed (a condition-heavy and tanky stance respectively). Last week, Arenanet announced the Ventari legend, which is a healing stance. All of the skills associated with the Ventari legend are associated with the Ventari Tablet. The tablet is a pet of sorts which must be summoned to use any of the Ventari skills. These skills focus on manipulating the tablet or creating effects with the tablet as the origin point. Protective Solace will create a barrier around the tablet that destroys projectiles while Ventari’s Will moves the tablet towards a target location, healing all allies it passes through. Along with the Ventari legend reveal, information on the staff weapon for Revenants was unveiled as well. The Revenant’s staff abilities directly synergize with the Ventari legend, since they too focus on healing. The Revenant will wield the staff in melee, creating healing and support effects in an offensive manner. For example, Rejuvenating Assault is the third attack in the Revenant’s staff auto-attack chain. It cleaves adjacent enemies while simultaneously creating healing orbs that allies can pick up. The reveals for Heart of Thorns have certainly piqued my interest. We’ll probably be highlighting several more of them before the expansion’s release. Wildstar has had it struggles in the past several months, but the current dev team has been implementing changes to improve the player experience based primarily on player input and feedback. These changes combined with the difficulty to maintain a subscription plan for MMOs these days has led to the logical next step: the announcement of the game going free-to-play. Starting sometime next fall, Wildstar will be transitioning to a free-to-player model. As is typical of free-to-play models, there will be an in-game store offering cosmetic and convenience items as well as other player services. Players who purchased the game in the past will receive bonuses, such as 12 character slots (as opposed to the default 2) and Loyalty Points (the exact amount will depend on whether the standard or deluxe edition was purchased as well as how many months the player paid for either in real money or C.R.E.D.D.). The subscription service will continue in the form of “signature accounts,” which will receive numerous small perks (e.g. XP bonus boost, more auction house buy and sell slots, priority access to the game in case of queue, etc.). It’s all pretty standard stuff as far as these transitions go. Carbine states that Wildstar will really be free-to-play, and any real money purchases will be purely optional (i.e. no content gated behind a pay wall). I’ll likely be trying it out sometime in the fall, so stay tuned for my impressions of the new free-to-play Wildstar experience. That about wraps it up for this month. Are you guys looking forward to playing any MMOs this summer? Let us know in the comments below! Page created in 0.5572 seconds.